1. In this e-Marketplace, Buying and Selling of Dual-Use Products and Services Listed in Rectangle above is through 'software-driven' auto processes. The List is updated regularly by us. 2. Declaration: This ' A & D e-Marketplace and Information System' is basesd on 'Open / Unclassified Source', and 'Published literature' with NO Official Sponsorship. Any objectionable content on the Site, as and when pointed, will be removed. Digitization and Skill Development are intrinsically linked especially in context of large areas, wide spread sub-units, varied disciplines, and target population coverage. Team Guru, www.team.guru aims to fill this need of the businesses. Reaching Indian MSMEs for Offset Projects could be a tedious process. Whom should we Partner with, and for which Products / Services? This needs to be a transparent, totally professional and ethical approach, especially during due diligence of the 'to-be-partner' company. It needs to be one2one between Foreign OEM and the Indian MSMEs. Govt. should only intervene if the would-be company is blacklisted, or unethical. We List credible MSMEs on this e-Marketplace. MasicM is a Technology Development and Investment Company. Key BASICM unique offering is the INTEGRATION of a) state of art agro technology development and licensing, b) investment project structuring in 8 key technology areas (greenhouses, aquaculture, seed breeding, agroforestry etc), c) and 20 focused training courses on all aspects of project structuring. Agri-Techno-Invest Projects could also be offered as part of Offsets. Svipja co-operates with BASICM for operations in this Region and is a "Project Principal". Technology Perspective and Capability Roadmap (TPCR) for Indian Defence has been issued by the MOD in Apr 2013.It provides the broad technology spectrum needed by its Armed Forces in long term. This would help the industry, both public and private, to commit resources for indigenous efforts. Technology development needs a long lead time for any indigenous capability. TPCR is expected to provide direction to the industry in domestice market, and what to get as a ToT. India is one of the biggest importers of defence equipment. India has laid down '30% Defence Offset Policy' to support development in the Indian Defence Industry and it's allied set-ups. It is estimated that over INR 83,000 Crore are likely to flow back into India during the next 10 years through offsets in defence deals. www.DefenceOffsetsIndia.com refers. Ministry of Defence (MOD), Govt. of India, has set-up Defence Offsets Management Wing (DOMW) which is responsible for formulation of Defence Offsets Guidelines and all matters relating to post-contract management. 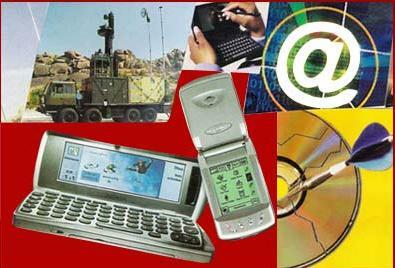 Also visit www.IndianDefenceIndustry.blogspot.com for articles on Defence Offsets. MoD has reinstated Services as an Eligible Avenue of Offset Discharge in Defence Offset Guidelines (Appendix D to Defence Procurement Procedure). R&D services (from Government recognised R&D facilities). Engineering, design and Testing as well as software development have been reinstated with a maximum cap of 20 per cent of the total offset obligation with provision of random audit to verify value of offset contracts and additional requirement of CMMi certification of 4 and above category for the IOPs where discharge is envisaged above 5 per cent of offset obligation. These changes will apply to the relevant provision of earlier versions of DPP as well. The change is applicable with immediate effect for RFPs issued on or after the date of issue of this amendment. The Ministry of Defence (MoD) have issued the Defence Production Policy with an objective to achieve substantive self-reliance in defence production. The Defence Production Policy states that in order to synergize and enhance the national competence in producing state-of-the-art defence products within the pricelines and timelines that are globally competitive, all viable approaches such as formation of consortia, joint ventures (JVs) and public private partnership etc. within the Government approved framework will be undertaken. DPP 2013 has been released. It will be effective from 01 Jun 2013. DPP-2013, has the twin objectives of “infusing greater efficiency in the procurement process and strengthening the defence manufacturing base in the country”. DPP-2013 backs indigenous defence industry. Indian defence companies will get access to the military’s long-term equipment road map ; will be provided a level playing field between the defence public sector undertakings (DPSUs) and the private defence companies; simplification of the ‘Buy & Make (Indian)’,and defines certain terms the DPP. DPP 2013 IS PRESENTLY UNDER REVISION. FICCI along with the Department of Defence Production, Ministry of Defence organized a one and half day seminar on “Defence Procurement: Global Partnerships towards Joint Development and Indigenisation” during Defexpo 2014 on Feb 6 -7, 2014. The seminar was inaugurated by Mr GC Pati, Secretary, Defence Production in presence of senior officials from the Ministry of Defence, Indian Army, Indian Air Force, Indian Navy and the industry. This paper of the IDSA attempts to estimate the self-reliance index of India’s defence production. While estimating the index, it also focuses on three important issues; the approach towards self-reliance (as understood in the Indian context), data problems in estimating the index and the methodology used to arrive at the index. The paper suggests that a separate budgetary classification be made in the Defence Services Estimates to facilitate computation of self-reliance in a more objective manner. This necessitates suitable changes in the classification handbook for defence that mandates the concerned officials of the Indian Defence Accounts Department to book a particular expenditure. This is only a Report of the Seminar. We guide you through the Offset Process, pre and post-Contract. In this concept, e-Selling, and e-Sourcing/e-Procurement is outsourced by Industry/Companies to experts outside their organisations in line with their Strategy. The goal of the Industry is to retain the existing 'edge' definitely, but still fine-tune 'input costs' with a view not to get 'edged-out' in the emerging environment of globalisation and liberalisation. This helps in making Selling and Buying Processes highly competitive. Please also visit my Blog : www.FreeMarketsDefence.blogspot.com for more details. One of the major challenges MSMEs face is growing their businesses nationally and internationally, coupled with employing best business practices in their day-to-day working. MSMEs mostly look for other MSMEs, or in some cases Large Enterprises, as customers. Dual-use e-Marketplace like www.IndianDefenceIndustry.com could be a boon for the MSMEs. If you are a small to medium sized company and are NOT planning to buy/sell Your products and services through Net and e-Marketplaces, you are simply loosing a great opportunity ! In a broader sense, a B2B-B2C-B2G e-Marketplace is an online platform where Buyers and Sellers come to communicate, collaborate and make business transactions. e-Marketplace caters to a large number of participants with common interests as a Community. The main objective of an e-Marketplace is to create a venue filled with features that allow community members to efficiently conduct significant portion of their routine business processes on the Net. e-Marketplaces are also known as Exchanges. The Directorate General of Quality Assurance (DGQA) is under the Department Of Defence Production, Ministry of Defence. This organisation is more than hundred years old and provides Quality Assurance (QA) cover for the entire range of arms, ammunitions, equipments and stores supplied to Armed Forces. Indian Defence Industry Infrastructure comprises of Govt-owned Ordnance Factories, Defence Public Sector Undertakings, ably supported by the Defence Research and Development Organisation, www.drdo.org, Directorate General of Quality Assurance, Civil Industry including SMEs amongst others.